The Red Army lost a significant number of combat vehicles and field guns to the German Blitz into the Soviet Union. As the Soviet industry was being relocated and ramping up production of replacement armaments, the Red Army made use of whatever it had in warehouses and in storage to buy time for reconstitution of its forces. One commodity that was coming available was a number of captured German armored vehicles. While some of these vehicles were serviced and put into action against their former owners, the obvious shortage of German spare parts and ammunition left these vehicles ineffective in a relatively short time. One concept that was put forward was to recycle the chassis (usually StuG III or Panzer III-based vehicles) and rebuild them with Soviet-made weapons. One weapon that was available in numbers at the time was the 122mm M30 howitzer. The marriage of the Panzer III chassis and the M30 led to the SG-122 self-propelled gun. 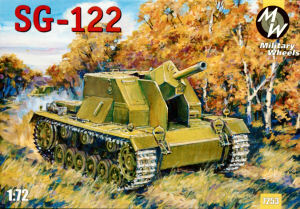 Field testing of the SG-122 identified a number of deficiencies in the early design, and while incremental improvements were started, the SG-122 project was cancelled after a limited number of vehicles were produced in favor of the SU-122. 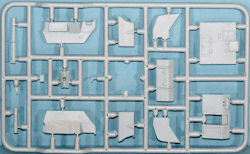 The Military Wheels rendition of the 1/72 SG-122 is molded in light gray styrene and presented on six parts trees. 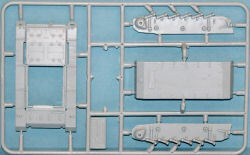 You can see in the parts layout drawings that a numer of the drive sprockets and return roller options are not used in this kit indicating that there are Panzer III and/or StuG III kits using several of these same sprue trees. The kit starts off with the lower hull assembly. 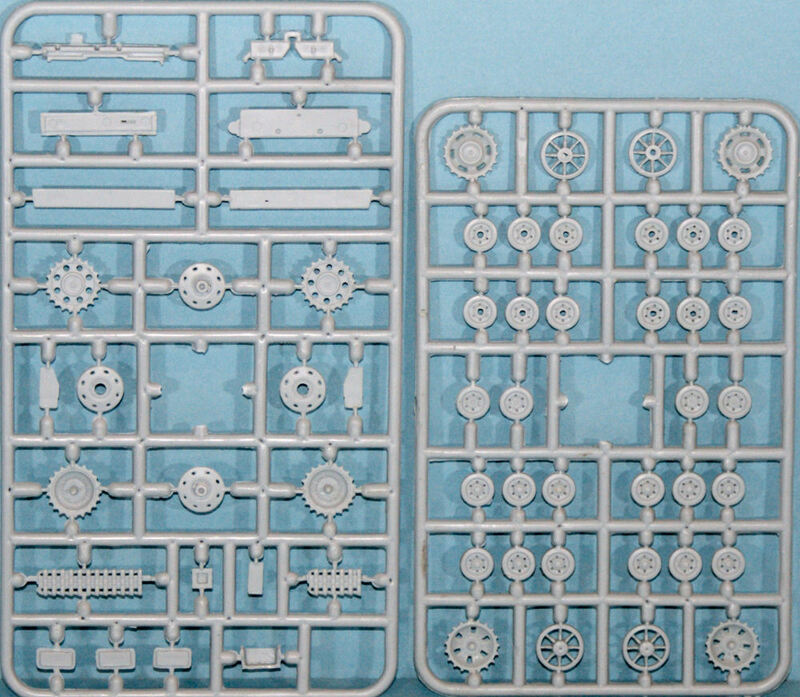 The road wheels, return rollers and drive sprockets all go together as with most other armor kits. 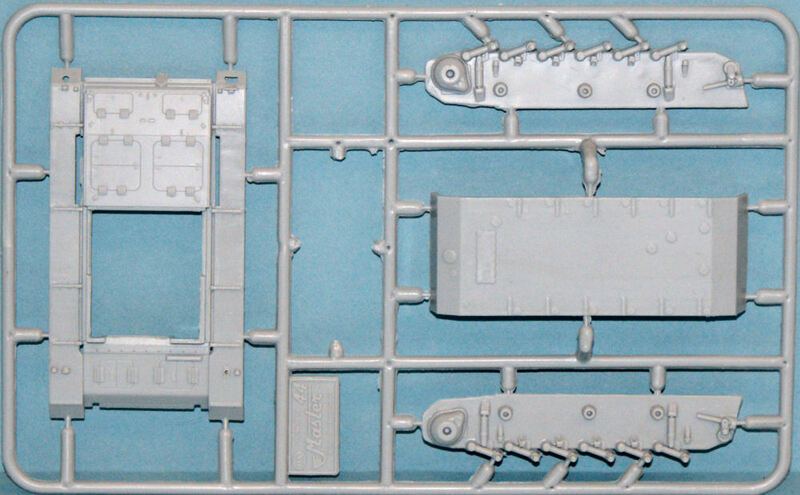 This kit uses individual track links and track sections to replicate the track similar to the ESCI 1/72 armor kits being reissued by Italeri. The straight lengths of track are a single piece with individual track links used to build up around the sprockets. 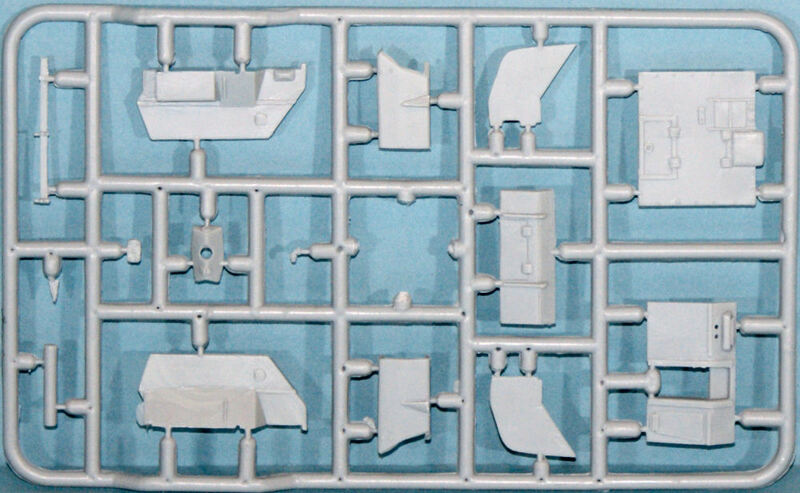 The upper hull is a simple boxed in assembly that houses an equally simple gun and mantle. Given that this vehicle was not put into service, there are no decals to render vehicle markings. This is a nice little kit that will build into a unique subject with a little patience and skill. 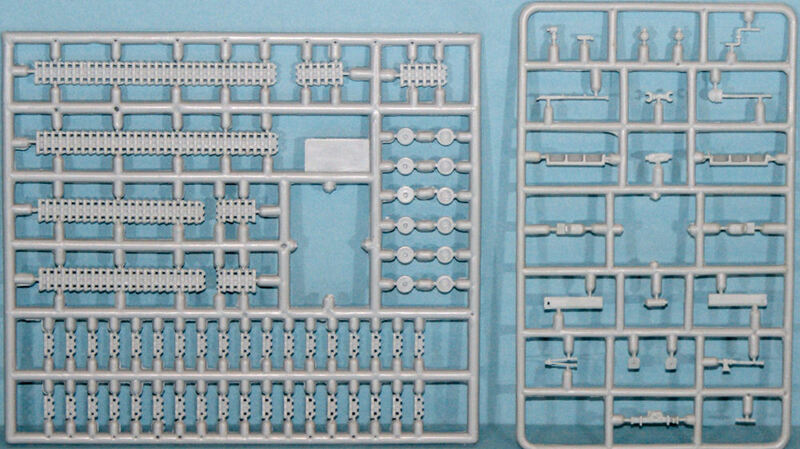 This kit is recommended for experienced modelers. My sincere thanks to HobbyTerra for this review sample!